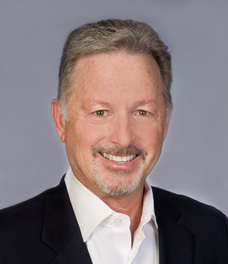 Bradford Cox joined Thomas D. Wood and Company in 2008 as Vice President and Manager of the Sarasota Office. Brad is responsible for the capital market needs of his clients including bridge, mezzanine, equity and debt placement. With his intense knowledge and close relationships with key capital sources, he can customize your mortgage “from a fast track closing to a highly structured transaction” quickly, seamlessly, and transparently. Prior to joining Thomas D. Wood, Mr. Cox was a commercial loan production consultant for Morgan Stanley Mortgage Capital Holdings LLC directing their southeast regional office. Prior to that, Brad was Vice President of commercial loan production for KeyBank Real Estate Capital, where he was responsible for structuring commercial loans through KeyBank’s CMBS, Fannie Mae, Freddie Mac, HUD, Life Company, and Mezzanine loan programs. Mr. Cox has financed in excess of $1 billion in commercial real estate loans. He is a member of the Institute of Real Estate Management, and the Commercial-Investment Real Estate Institute. Brad is Certified Commercial Investment Member (CCIM), a licensed Florida Real Estate Broker. He attended Seminole Community College and the University of Central Florida.